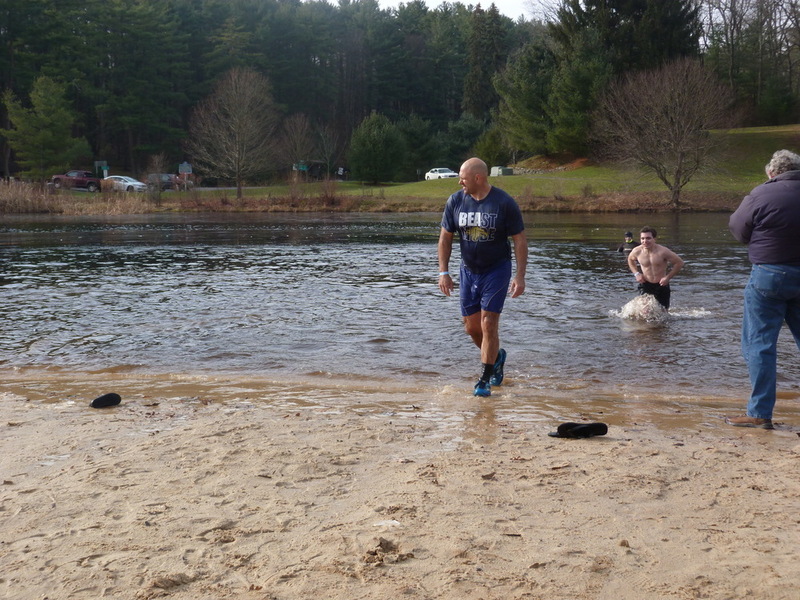 Howard Elementary School Principal Skip Pighetti was the lone representative from the Bald Eagle Area School District to participate in the Polar Bear Plunge on Dec. 2. The 15th annual event was hosted at Black Moshannon State Park to help benefit programs through the YMCA of Centre County. Its Cool School Challenge gives students, teachers, staff and administrators an opportunity to jump in the creek to help raise money to support campaigns at the YMCA such as the Backpack Weekend Food Program that provides a backpack of food for local students to take home to eat on the weekends. It benefits about 10 students at Howard Elementary School, Pighetti said.